Delivering a great experience for your customers is the number one goal of any business. That type of experience helps increase your sales and strengthen your brand loyalty. But the experience shouldn’t end after the sale. According to Invesp, 89% of online shoppers have stopped shopping at online stores after a poor customer service experience. Providing a consistent, comprehensive awesome experience is key to building a successful and profitable business. Here are 10 elements of a great online customer support experience. Every minute matters in the case of customer support response time. As a customer, knowing a support rep is working on your case reassures you of the company’s responsiveness. Responsiveness to a support issue is important to your customer – as long as their issue gets resolved in a single interaction. In most cases, one point of contact to resolve an issue is enough as long as your support team is well trained and knowledgeable. If it’s a more technical or specialized issue and more time is needed because other groups are involved, communicate that to your customer and set expectations. Being transparent and openly communicating your process will alleviate customer concerns. Support always needs to take the customer’s voice at heart. Doing so will ensure they provide a useful support experience to the customer. Remember, when a customer asks for help or complains, they are doing it from a place of good. Taking the effort to ask for help means they’re invested in your company. If they didn’t want to do business with you anymore, they would have left without seeking support. Keeping this in mind as you handle support inquiries will help you identify with your customers and understand their true pain points. It’s always a plus to be able to interact with the same customer support person you connected with first. They’ll know the background of your issues, what you’ve done to troubleshoot, and you’re comfortable with them. That relationship is a great way to build brand loyalty and deliver a personalized customer service experience. Recording support interaction is a great benefit because it eliminates time spent on researching issues and past responses. Email records of a support inquiry or ticket tracking allows customers to build a rapport with your company, no matter who they interacted with previously, using whatever method – phone, live chat, email etc. They know someone is attending to their needs and their issues are being worked on. This builds trust. Doing a quick follow-up after a support interaction is a way for you to let your customers know they’re valued. Support teams can send feedback surveys, or even a personalized note to check up on how the customer is doing. Taking that extra step builds brand loyalty and shows customers you care about helping them succeed. Custom offers and discounts are common for negative issue resolutions such as retention cases. But they can also be used to strengthen a customer relationship after a positive issue resolution. 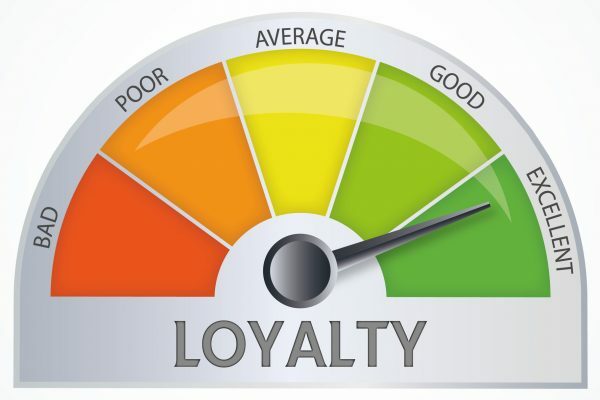 Extending promotions, rate reductions and freebies can incentivize customers to continue to do business with you and keep loyal to your brand. This shows your customers you’re engaged and value their business. Convenience is an overlooked feature of most customer service experiences. Typically, if you need support, you call in or send an email, and wait a lifetime for a response. Live Chat is a way to bring convenience to your customer’s support experience. Live Chat allows your customers to do other things while they’re waiting for a response. They get the same responsive service with the convenience of attending to other matters while their inquiries are being worked on. Bonus: Live Chat users can also save or print a copy of their conversation for their records. Providing a personalized customer service experience can be as simple as asking for your customer’s name and addressing them like you would in an in-person conversation. Having access to their customer information, such as account details and what products or services they’re using, also helps establish you as a knowledgeable support rep who can help and that you understand what they’re working with.